What is Euro block you may ask? Euro block is a concrete modular block, each measuring 4”x8”x12” that is ‘tumbled’. This gives it an older, antiqued finish. When this finish is applied it gives the block the look of natural cut stone but with consistent heights making the construction process very easy. 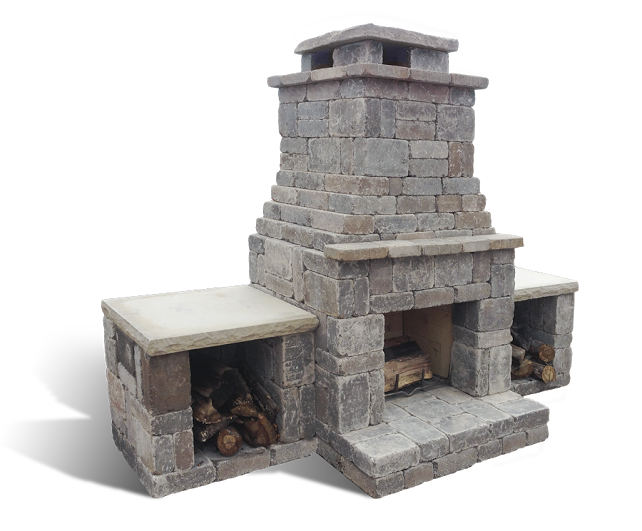 The Euro block can be used to build anything from seat walls, to fire pits, to columns, to even fireplaces! Ask to see the 4 Euro block colors at your local Exteriorscape dealer today.